391 Orchard Road, Ngee Ann City Level 4 Takashimaya Sports Dept. Teck Yew Optical & Watch Co. 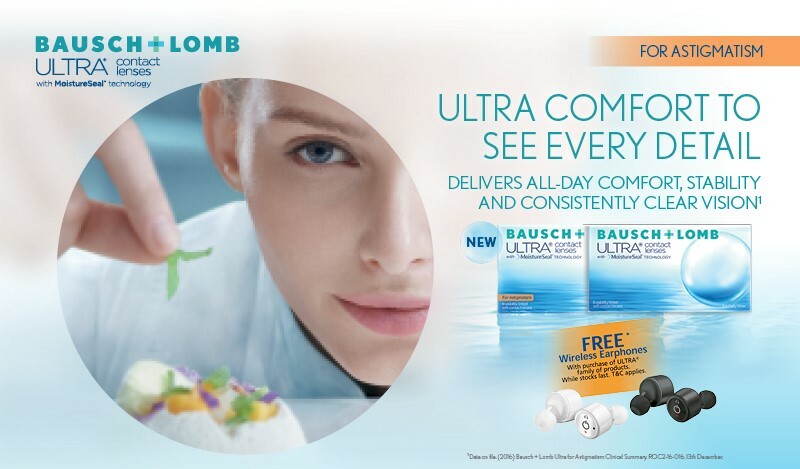 Ask your Eye Care Professional about ULTRA family of contact lenses today!